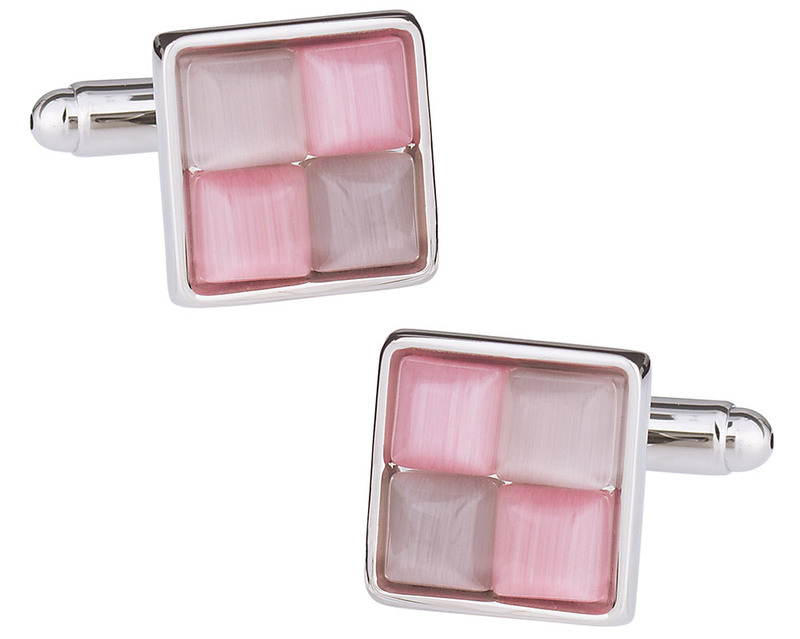 Pink and purple come together in a feminine blend of colors in this set of cufflinks. Give them as a classy gift to your professional friends or add them to your own personal collection. Whether you like the colors or not, one thing's for sure, they make a strong statement. They blend well with matching colors, or can be worn with gray, black or white clothing as well with good results. Each of the four colored catseye stones are used to make the colorful pattern and they truly bring this piece of jewelry to life. Step up your look with this unique set. Pink and purple cuff links look great with many colors. The dark purple and bright pink help to create a stunning contrast.